There are several books available in markets these days about Android and its application development. Each of the books available, varies in their quality of content and several other features. Android seems to be the future OS for the phones. If one has to learn Android application development, it is not a big task at all, one can learn it in a very easy way because the developers need not learn any complex programming languages. To learn them there exist many ways, out of many one is to learn through books. Well some of the best books are listed here so that you can learn a lot better about Android and its applications development. You will also find bounty of advice on how to support Android versions from Donut (Android 1.5) to FroYo (Android 2.2) and beyond. Some more advanced concepts are covered including 3D Graphics in Open GL, using SQL and other services. You can download this book from Official Amazon Store. This book helps you to learn powerful application development in just 24 sessions of one hour or less, more like a fastrack learning course. This book has a straightforward, step by step approach in simple but detailed manner that enables you to grab quick learning. You will find fully featured Android app from the baby step and master the skills you need to design, develop, test and distribute powerful applications. Each chapter learned gives you a rock solid base for the real world success. Develop Android apps quickly with java. Master Google’s Android SDK and other development tools. Develop powerful network related apps. Globalize, develop, test and publish your Android Applications. And much more to learn and explore. You can download this book from Official Amazon Store. This book is friendly and enjoyable book that guides you through various aspects of Android platform. It is very simple to follow even a dummy can learn from it as the title itself implies it. The popularity of this book is towering with no signs visible to slow it down. The open spirit of this book offers the programmers the freedom to access the platform’s potential and this straightforward guide helps you and guides you through the steps for creating astonishing Android Applications. Even if you have never written a mobile application, this book has the know how you need to turn your great ideas into cool apps for the Android platform. The concepts presented in this books are really very simple to adapt and can be learnt swiftly. No matter what level of programming experience, this book is ideal for getting started. You can download this book from Official Amazon Store. 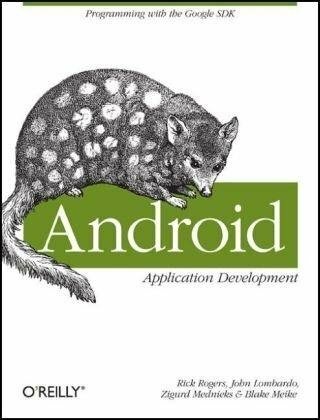 This book provides practical approach, concepts and code you need to develop software with Android. Based on the Linux OS and developed by Google and the Open Handset Alliance. With the help of this book you will get a complete introduction to the Android programming environment and along with its SDK kit, building, and tools; build a modular apps, starting with the core section that serves to launch modules added in successive chapters. Get a rank initiating to the Android planning environment, architecture, and various tools. Use ready to run warning code that implements apiece feature. 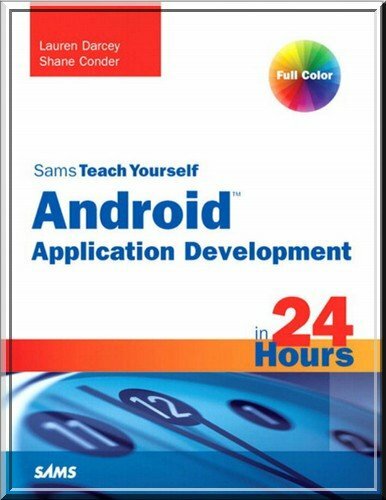 This book covers more topic of interest to the professional Android developers. If you need to implement sophisticated services like need to use sensors, playback media, take pictures via camera, create home screen widgets, then this book will be a helpful guide. The Busy Coder’s Guide to Android Development covers a wide range of Android capabilities and APIs, from creating simple user interfaces, to supporting long-running background processes and lot more features. It also implant the WebKit Web browser in your application, how to have your application use data from other installed apps or off the Internet, and how to integrate with the built-in on-device search engine. It will help you more quickly mount the Android learning curvature, so you can create the “killer apps” you’ve always dreamed of. You can download this book from Official Amazon Store. i’m a newer on android application development, i hope i can get some help from this website! thank u.